Senior Phone features a simple and easy interface with big buttons for easy calling, texting, SOS, location functions and other functions (weather, magnifier, music, torch,..). Senior Phone makes your phone easier to use - be it for you, your parents, grandparents or anyone else. Not all of us necessarily need or want our smartphones to be all that smart - Well what about those of us, that need our phone to be just that - a phone? Know and act before something happens! And if at any time you want your smartphone to start performing like one - you can simply turn the application off and continue using your phone as it was. 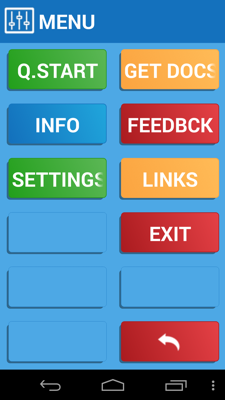 The application uses a standard touch interface with enlarged buttons. 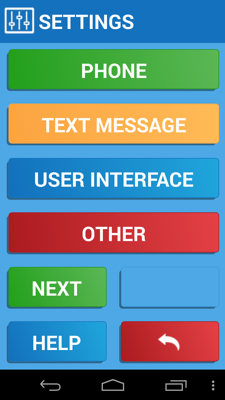 The lower 4 buttons show the most useful functions: Call, Text, Locate and SOS. The device using Seniors Phone can be used like any normal phone/tablet with an enlarged interface. Seniors Phone can be selected as the main launcher and can be set to open at (device) start up and/or prevent the user from closing it. This is a feature integrated for users, who wish to bypass the standard Android interface and only ever use an adapted launcher. Upon first start of the Seniors Phone app you will be greeted by a quickstart guide which briefly explains the basics of the app. To access the menu and settings use your device's menu button – some new devices lack physical buttons and usually put the menu “button” in the right part of the screen. It should look like three dots (Android 4.4 KitKat). Press the menu button and the menu for Seniors Phone will appear. Here you can change the shown applications, set up carer and contact numbers, SOS and location settings and more. Firstly you should take care of your contacts – do this in the settings tab. 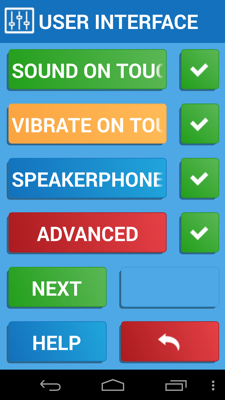 Seniors Phone allows you to import your existing contact when making a new quick dial contact. You can also add a picture for faster and simpler access. The carers are at the very top of your contacts (literally) and are the first people to receive a notification when sending a Locate or SOS message. They are also the ones who will be notified of your mood (later versions) and will be on standby when you need them. Most of the time the carers will be your family members. The second step would be to add predefined texts in the Texts settings section. This should be done so that you may quickly reply with a single click when needed. 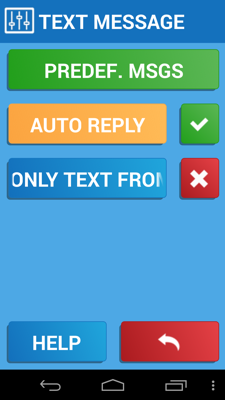 Select a predefined text message (in the settings) and write in your own! 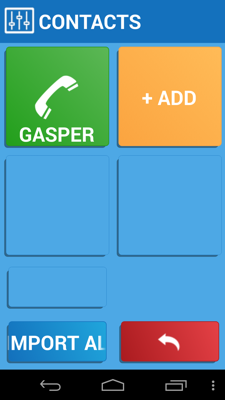 Apps button - This button switches the layout of the bottom 4 buttons, changing them into the application callers. The user can switch the position and which applications are to be used. All of this can be done in the settings, under the manage applications tab. This serves as a quick way to access some of the additional functionality. Date and time – Shows a little digital clock and date. The time will need to be set in your Android device's settings. 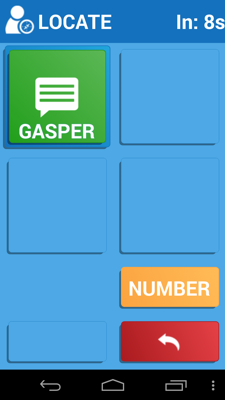 Notification/carer bar – The notification bar will show you your missed calls, unread text messages or any other information that you should see. Seniors Phone gives the user the ability to add contacts as carers, which are essentially the most important contacts who can be alerted immediately. The notification will show you important alerts (missed calls, texts etc.) while also showing the status of your carers. 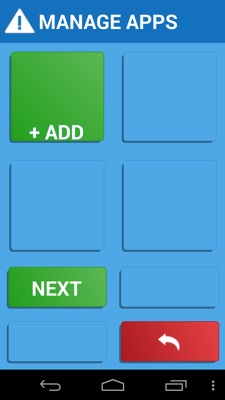 The lower part of the screen includes four color coded buttons. 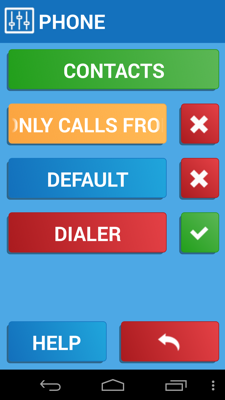 CALL – Allows the users to place calls to predefined contacts or known numbers. 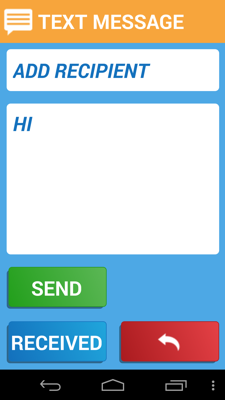 TEXT – Users can send out predefined text messages to their contacts. LOCATE – Sends the current location (derived from the GPS coordinates) to your carer. SOS – Sends the current location and an SOS warning alert to a predefined contact. The SOS function automatically sends an alert (including the user's location) after 10 seconds. The user must cancel the alert manually or the text will be sent. TORCH – Adds a small light to Seniors Phone. If the device has a flash light, the flash light will be turned on/off, if no flash light Is present the device's screen will be turned up to maximum brightness and a white background will be used. Q. START – Opens up the quickstart guide. GET DOCS – Sends additional documentation and this guide to the users email. INFO – Contains the developers thanks and credits. FEEDBCK - Opens a feedback form where you can send your opinion, positive or negative reviews directly to the developer. We appreciate all input and will work our hardest to integrate it as fast as possible. Using Seniors Phone is just like using any other adapted mobile device. Your device running Seniors Phone will alert you when receiving calls and/or texts, just like a normal phone would. The main 4 functions are the CALL, TEXT, LOCATE and SOS functions; Call is used for placing quick calls and reviewing call logs while the Text function is used for text messages (also included is an adapted three-row alphabetical keyboard). The Locate and SOS are your safety functions, meant for the elderly or anyone else who needs assistance getting home. The Locate function uses your devices' GPS signal processing to pinpoint your location (using a locating service such as Google Maps). Upon attaining the location (coordinates) the device will attempt to send a predefined text message (can be changed in settings) to a predefined contact (can be changed in settings). This is useful to seniors who need picking up after doing their work. Similarly, the SOS function is also here to help locate you but is meant more as an alarming system. 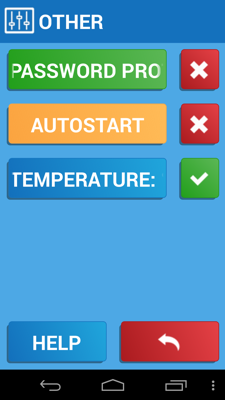 Upon pressing the SOS button, the device will begin a 10s countdown after which all your (predefined carer) contacts will be immediately alerted of your SOS call. The next button changes the page from main page to app page. Here you will see all the applications you've set up in the settings, from a simple calculator, torchlight, camera or magnifier or internet browser – it's completely up to you. The battery and weather buttons show the information about the battery status and the current weather report (from Android settings). Additional weather forecast can be seen by clicking the weather icon. The forecast for next 2 days will be shown. Seniors Phone can be used as any other ordinary phone. Choose Seniors Phone and check the option "Always"/"Use by default". From then on, the phone will be "locked" to Seniors phone. In case this dialog does not appear you can try the following: uninstall and reinstall the application. Check Android settings for an explicit option to choose among home screens available on the phone. Go to the application list, find the application that is currently set as the default home screen and press "Clear defaults". 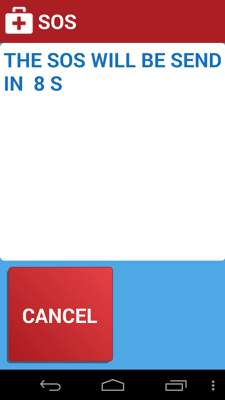 The next time you press home button the dialog for choosing home screens should appear. To revert back to the standard home screen, go to the menu and press EXIT. 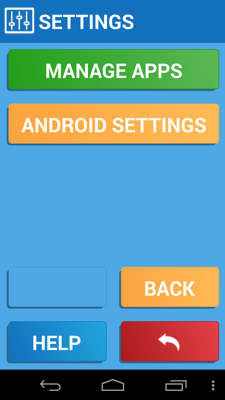 A dialog to choose another home screen appears - choose a home screen other than Seniors Phone to "unlock" the phone and check "Always"/"Use by default" option.